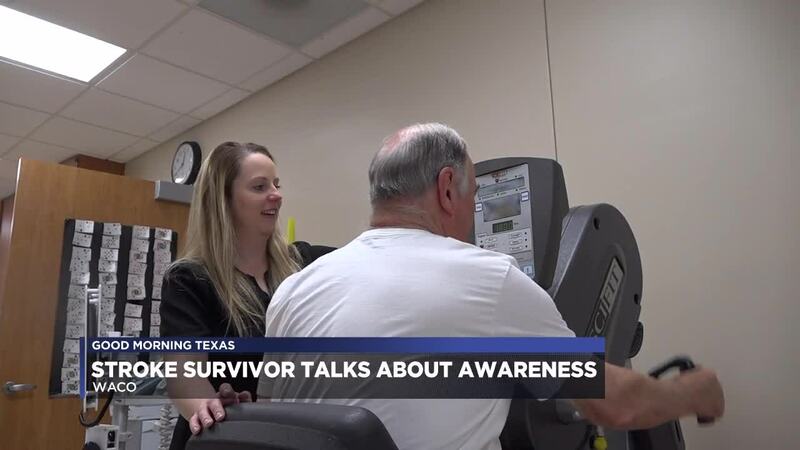 WACO, TX — May is Stroke Awareness Month, but one Central Texas man who suffered a stroke in July of 2017 wants us to be aware at all times. Dwain Moss says it was near bed time he suffered his stroke. Moss then learned about his options from medical staff. “We have a medicine that may cure some of the ills of the stroke, but if you are bleeding somewhere else that we don’t know about, it will kill you," Moss was told. Medical professionals have developed an acronym called “F.A.S.T” to help all of us be aware of the signs that somebody may be having a stroke. Moss was one of fortunate ones who received treatment. After hospital stay, he did his rehab and continues to recover to this day. The Centers For Disease Control statistics say almost 800,000 Americans suffer a stroke each year, killing about 140,000 a year. The CDC says the main stroke risk factors are high blood pressure, high cholesterol, smoking obesity and diabetes. The agency adds one-in-three American adults have at least one of these conditions or habits.